Thank you for your interest in the work of T.L.C. Children’s Trust. We have only put some very basic details on this page. You can easily find full information by going to the various pages listed in the menu at the top of the page. “The charity’s objects are to relieve the needs of orphans and other underprivileged children and young people in Kenya in particular but not exclusively by the provision of funds for food, clothing, accommodation, education and medical care”. All the income that we receive is used to support the vulnerable children and the wonderful staff at the Home of Peace Children’s Home near Siaya in Kenya. Please take a few minutes to read about the Home and also the amazing things that we have achieved over the past few years. No money is held back for our administrative costs. 100% of gifts received goes to the Children’s Home. Our Trustees personally cover the overheads. 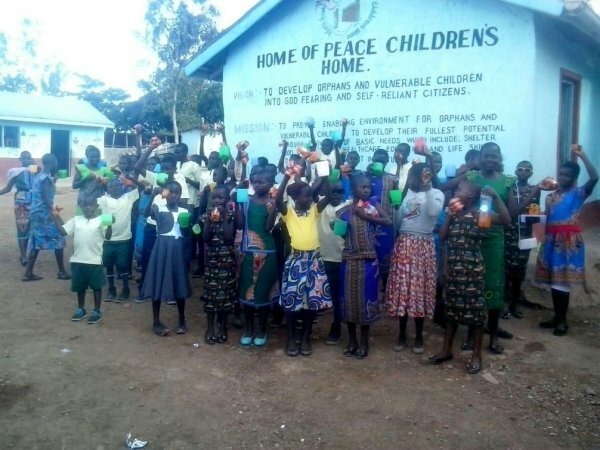 Home of Peace Children’s Home is located in a rural area of Kenya and provides accommodation, food, clothing, medical care and education for vulnerable children and orphans. Home of Peace Children’s Home is registered by the Dept. of Children’s Services of Kenya and it is run under the direct supervision of T.L.C. Children’s Trust who monitor everything very closely. We maintain a very close link with the home and are able to verify where every penny is spent. Click here to see our “Support Page” and find out how you can help us to help these vulnerable children. Below is our Facebook Page. You can scroll through the posts. If you are on Facebook please ‘like’ and ‘share’ it.